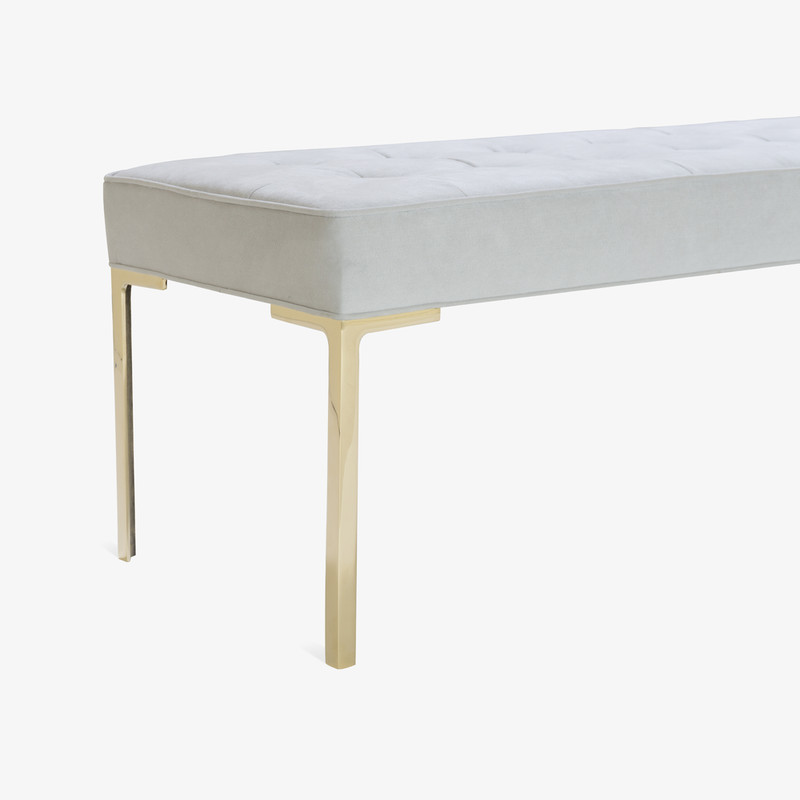 Designed by Montage, the Astor Bench is a wonderful addition to a refined interior space. Astor was designed with the delicate proportions of the mid-century, celebrating an era of design that remains ever so popular today. The Astor collection is designed and manufactured in-house by Montage. Shown in a supple Luxe Suede in Dove, incredibly durable, with countless colors to choose from. The brass legs are cast and polished in the USA, a contemporary interpretation of vintage Italian design. Available with a plain or tufted top (shown).